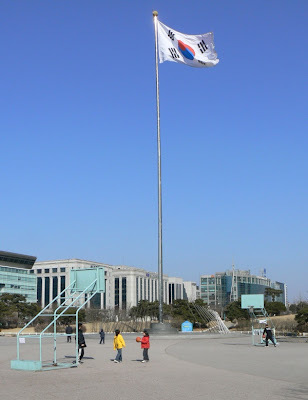 A few brave seouls shoot baskets in freezing conditions in front of the giant flagpole on the Culture Plaza, Yeouido. 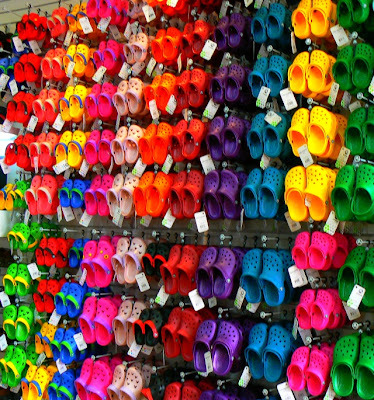 A (slightly out of focus and grainy) shot of a well known brand of plastic shoes on display in Itaewon. 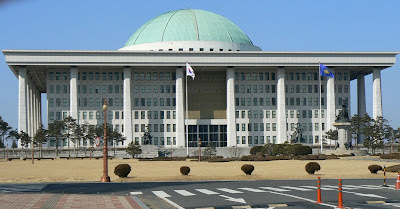 I happened to be on the grounds of Seoul National University (SNU) yesterday. It was a graduation day and there were many graduands in academic robes, proud families, photographers, flower and food stalls and balloon vendors all over the campus. I took this hastily composed snap on the way back to work. 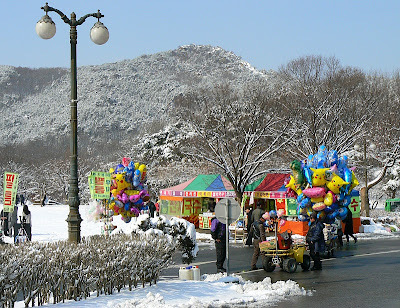 I like the contrast between the brightly coloured balloons and the snowy background. 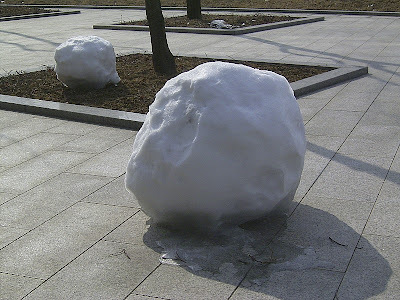 It snowed lightly for most of yesterday and it is forecast again for today. 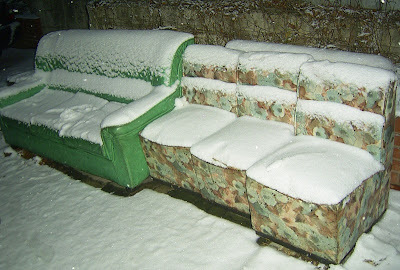 Last night while walking to the subway after work I spied this sofa and chairs abandoned outside an apartment building in Nakseongdae. 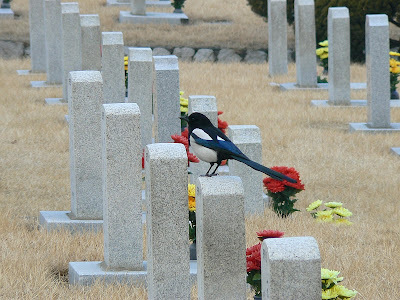 An unconventional view of the statue 'Brothers' at the War Memorial of Korea. 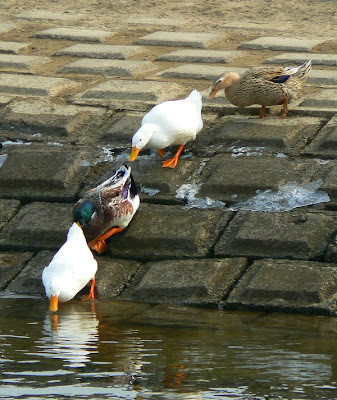 Four ducks about to go swimming in the chilly Han River (note the ice on the bank). A panoramic view of downtown Seoul taken from the viewing platform on Namsan. Sunset on the Han River. The tall building on the left is the 63 Building. 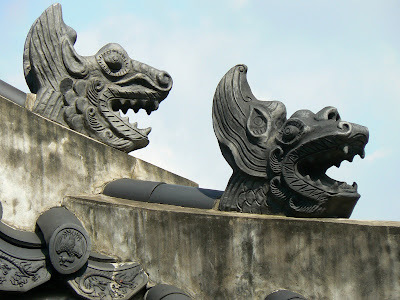 The shot was taken without tripod from the bridge at Dongjak. High-rise apartment buildings dominate Seoul's skyline. 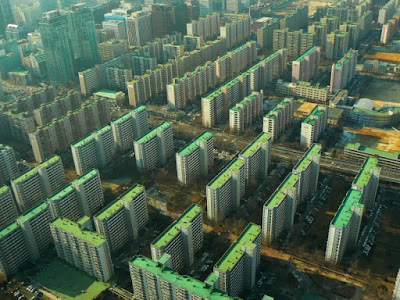 This photo shows an aerial view of apartments near the 63 Building at Yeouido. 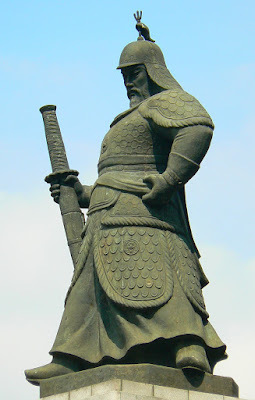 The statue of Admiral Yi Sun-Sin near Gwanghwamun Subway Station, central Seoul. 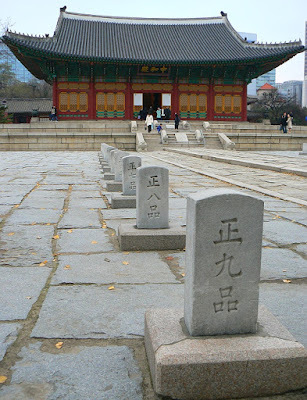 Admiral Yi is a famous Korean naval hero and is credited with designing and building the equally famous turtle ship. 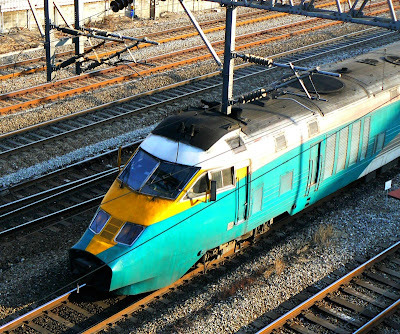 He has been likened to England's Lord Nelson. 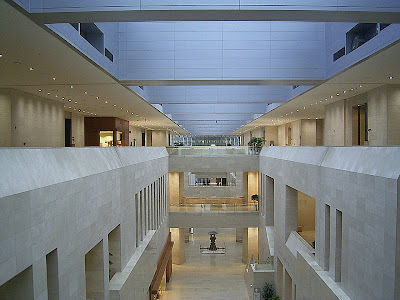 Inside the Deoksu Palace compound (near City Hall subway station). 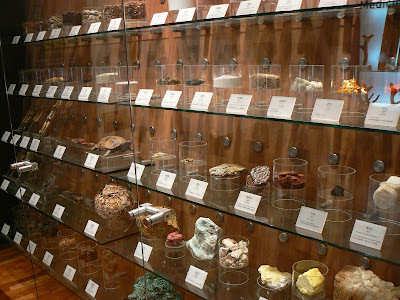 A display case at the Seoul Yangnyeongsi Herb Medicine Museum, Jegi-dong. 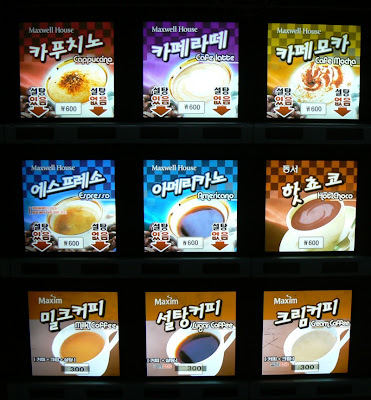 The museum provides a fascinating insight into the history and culture of herbal medicine in Korea. 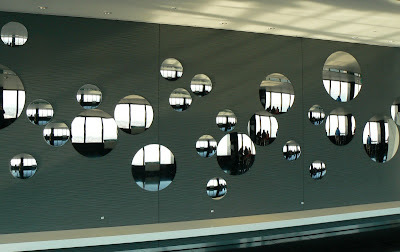 The collection includes medicinal ingredients derived from animal, plant and mineral sources. 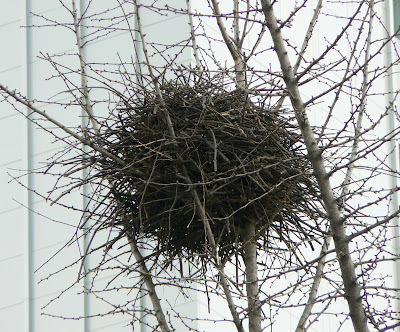 A Korean magpie's nest in a tree in front of an apartment building Yeouido Island. For much of the year nests like this go unnoticed. In the winter, when the trees are devoid of leaves, it becomes apparent just how many of these large stuctures there are across the city. 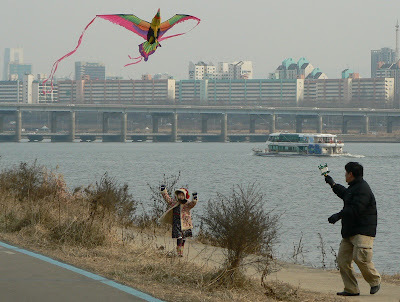 Flying a kite beside the Han River at Ichon. 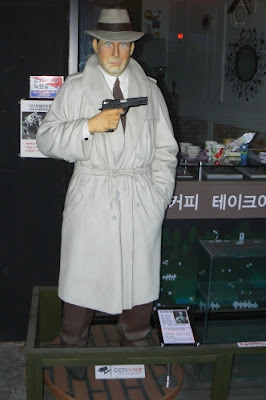 I saw these young ladies out walking in Itaewon on the weekend. 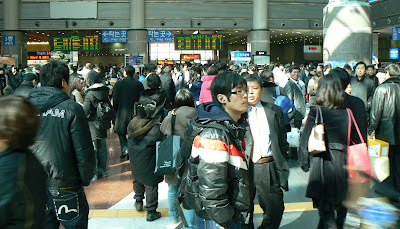 It never ceases to amaze me that that so many young women dress in short skirts or shorts in the sub-zero conditions that we experience in Seoul over the winter. 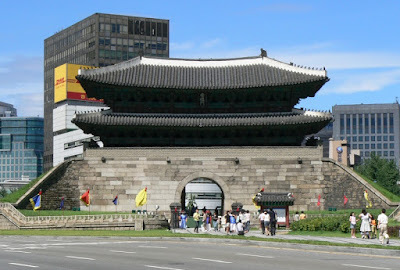 Sungnyemun, otherwise known as Namdaemun, is an historic gate in Seoul (built in 1395) that was classified as National Treaure No. 1 in 1962. Sadly, the entire wooden upper section of the gate was destroyed by fire the night before last. 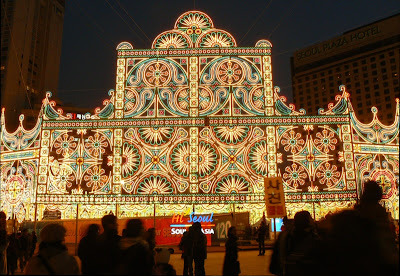 It had been the oldest wooden structure in the city. I took this photo in July last year and post it in memory of this once beautiful structure. 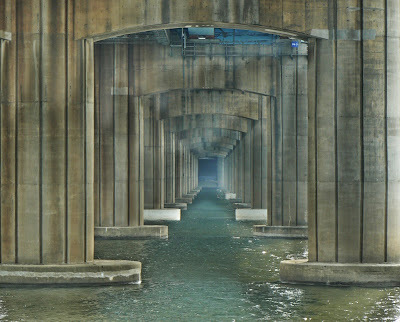 Underneath the Dongjakdaegyo Bridge across the Han River. 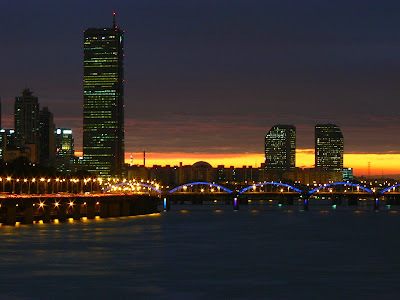 I combined and tone-mapped three bracketed-exposures to produce this image. 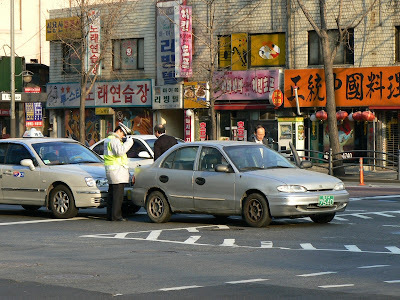 A minor traffic incident near Sinyongsan subway station yesterday afternoon. The guy in white coat and hat is a policeman who was on duty on the corner of this intersection when the taxi 'bumped' the car in front. No real damage done and they all went their separate ways.